I have been sick for about a week now, so you’ll have to forgive me for this soup not being the most picturesque meal I’ve made. It tasted awesome, and I feel a lot better, so I’m not too worried about the aesthetics. I threw some parsley on there, so it’s not like I didn’t try. I made this with the chicken stock that I posted a little while ago and froze. I have a hunch that starting with homemade chicken stock makes this a lot better, but I’ve never made chicken soup with store bought stock, so I wouldn’t know. 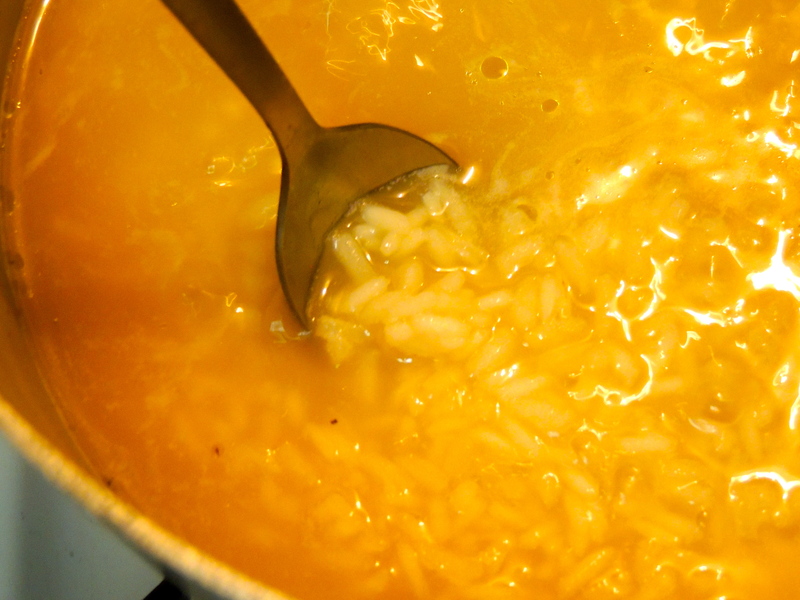 When I was younger and sick at home, my mom would make soup like this with rice and lemon, so I was trying to copy her. Basically, all I did was simmer the stock with some spices to enhance the chicken flavor, then add some rice, cream and fresh lemon juice. It’s a recipe you can replicate through a medicated fog, and apparently chicken soup contains enzymes that help you fight off colds. I can’t remember where I read that, but it sounds pretty true! Add stock to a medium saucepan over medium low heat. Add spices and simmer for about 15 minutes. 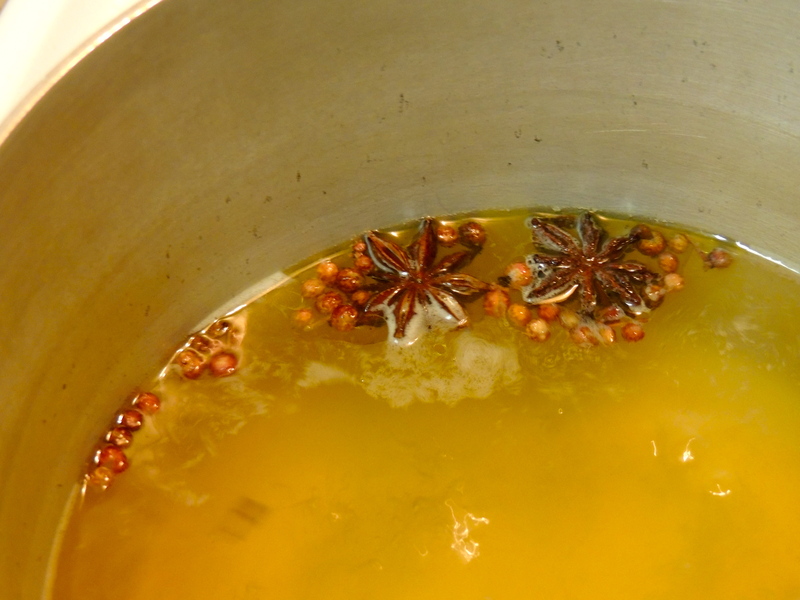 Scoop or strain out the spices (or remove bouquet garni if you went that direction). Add rice and cook for another 10-15 minutes until rice is tender. Don’t be afraid to taste as you go. 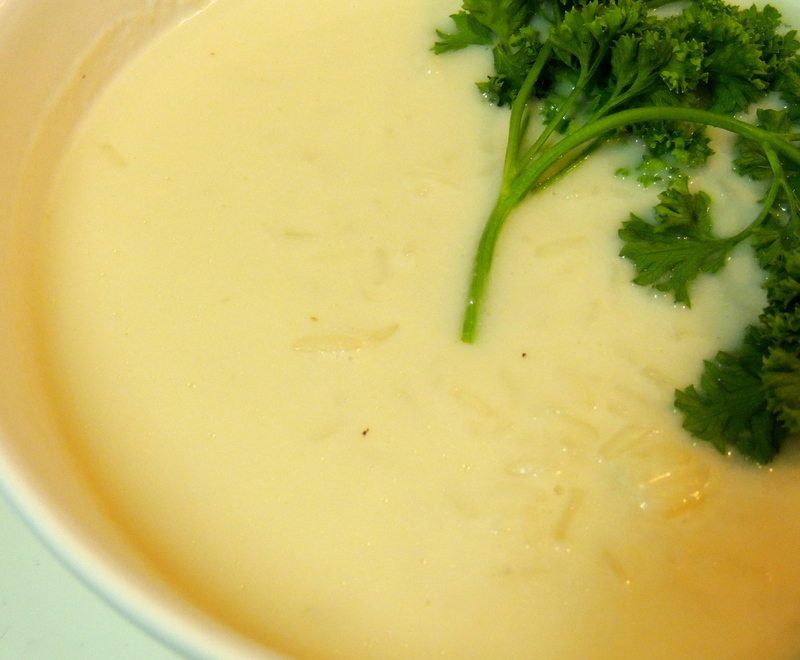 To finish, add cream (if desired, your soup will be pretty creamy already thanks to the rice), lemon juice and salt to taste. Enjoy your hot soup, and get well soon!